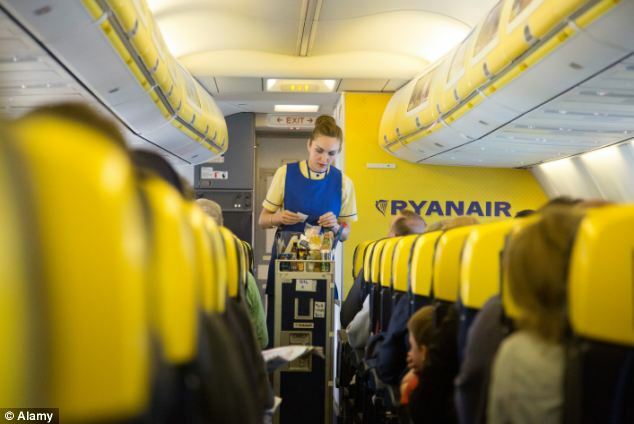 A Ryanair flight attendant allegedly launched an angry tirade at a passenger, screaming ‘F*** you’, after the man rejected a ‘rip-off’ snack. Nadir Morris was shocked when the steward asked for £4.20 in return for two crackers and a piece of cheese, The Sun reported. 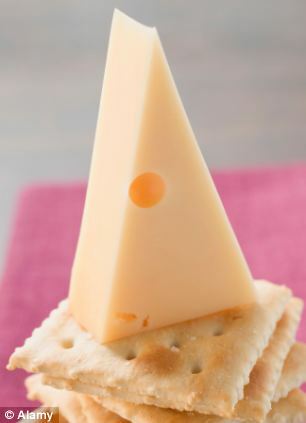 The father-of-two politely returned the snack but was met with the livid response, it was claimed. Once the London Stansted to Pisa flight had touched down in the Italian city, Mr Morris demanded to know the steward’s name, so he could make a complaint. But the man refused, and Mr Morris claimed, tried to push him off the plane. Mr Morris, who is from Rome, then announced that he was recording the encounter on his mobile phone. It allegedly prompted the flight attendant to yell ‘F*** you’ repeatedly. Mr Morris told The Sun, the steward said: ‘F*** you, f*** you, f*** you. You happy now? In 2009, Mr O’Leary announced that passengers could be asked to pay as much as a pound to use the bathroom during a flight. ‘We’re thinking of putting a coin slot on the toilet so people may have to spend a pound to spend a penny,’ he told the BBC Breakfast show. A year later, the controversial tycoon asked customers whether they would think of vertical seats, akin to bar stools with seatbelts. His theory was that by removing 10 rows of seats and replacing them with 15 rows of vertical seats, flights could carry 30 per cent more passengers and slash costs by 20 per cent. 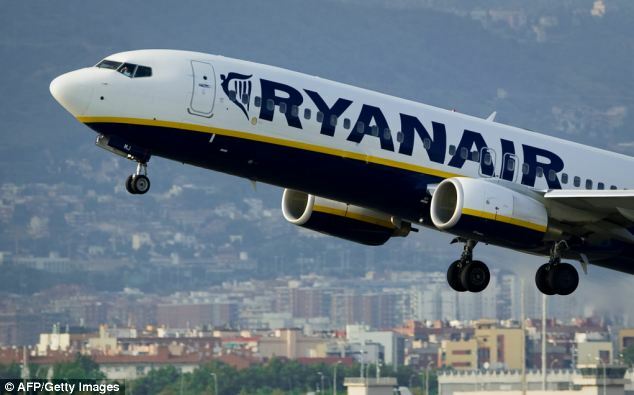 Ryanair recently announced it will begin to allocate seats from next year – but it will still cost almost £5 if you want to choose it yourself. From February travellers can pay five euros – £4.23 – to choose their seat while the rest will be allocated in the 24 hours prior to departure. Mr O’Leary once remarked that co-pilots were only there to ‘make sure the first fella doesn’t fall asleep and knock over one of the computer controls’. He declared aviation authorities should axe the ‘unnecessary’ position and instead train a member of cabin crew to act as ‘back-up’ should anything happen to the pilot mid-flight. The steward is understood to have quit his job. Ryanair’s Robin Kiely said: ‘We were disturbed by this report of such totally unacceptable behaviour. ‘While we are investigating this incident, the individual in question has resigned from Ryanair. The debacle is the latest in a long list of headline-grabbing stories about the airline. A recent Which? survey found the airline was distinguished by its ‘rude and unpleasant’ staff and an ‘aggressive and hostile’ attitude towards customers who ranked it at the bottom of 100 UK brands in terms of customer service. 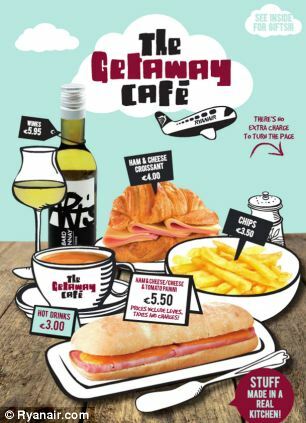 So what else can Ryanair do to revamp its image? The Irish businessman himself is not known for his restraint, previously calling overweight passengers ‘fat bastards on board’ while getting caught up in Twitter brawls. In October, the outspoken boss was bombarded on Twitter after agreeing to host a question-and-answer session from customers. He posted a picture of himself on the social networking site dressed as a leprechaun before fielding tweets. Many customers told Mr O’Leary what an ‘a***hole’ they thought he was – with user Andrew Riddell asking him: ‘Have you by any chance just hired British Gas’s former head of publicity you Plum’. In an interview this month, Mr O’Leary claimed he was a ‘Neanderthal’ who believed men should not feel any pressure to help bring up their own children. He also compared himself to Jesus and insisted Ryanair only punishes customers who fail to comply with its rules. But in November the flamboyant chief executive appeared to realise he needs to keep his mouth shut and take a back seat. The tycoon removed himself from the public eye to ‘stop unnecessarily p****** people off’, adding ‘I’m getting in the way’. 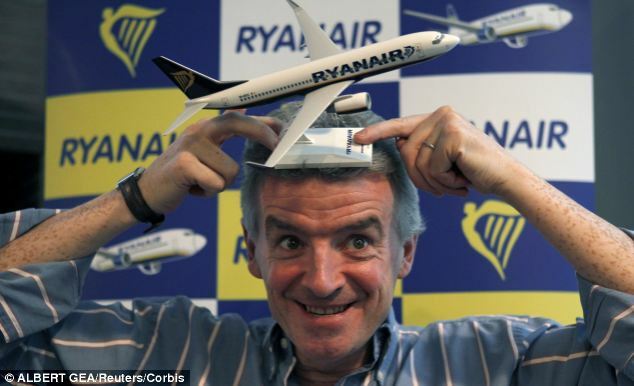 Mr O’Leary, who has gained a reputation as a corporate loudmouth, has been the face of Ryanair for almost 20 years. He has seen it through two decades of extraordinary growth – culminating in record profits growth of one per cent to 602million euros (£509.7million) last year. However, the budget airline – which has been criticised for treating its passengers ‘like the enemy’ – has recently been forced to issue its second profits warning in two months. However, it is clear that Ryanair wants to turn over a new leaf. The company announced plans to improve its website, revamp its customer service on Twitter – presumably to stop O’Leary getting into more spats – and introduce ‘quiet flights’, which will be in operation between 9pm and 8am, with minimal public announcements and dimmed cabin lights so passengers can sleep.